Waxx is deel van een netwerk van lokale handelaars die zich hebben verenigd in één cadeaubon, de Cadeaubon Brugge. 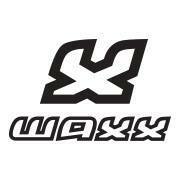 Waxx Underwear is an out of the ordinary and highly creative brand of underwear. In 2007, Waxx Underwear was founded in France and it changed the world of conventional lingerie. The roots of the brand go back to the extreme sports. In this world durability of the fabric and a pleasant fit & feel are essential and therefore at heart of the developing process. This results in the use of high-tech qualitative microfibers such as polyester and elastane. The combination of luxury materials and fashion forward designs makes Waxx stand out from the crowd and therefore is the key to the brands identity. The collection of Waxx Underwear consists out of boxers for men and hipsters, tops and tanga’s for women. The collection is infused with new designs on a regular basis to keep the collection fresh and collectable.